TECO People Gas is a leading company that operates primarily in the energy industry. In addition to gas, the company also engages in production of coal in Virginia and Kentucky and generation of power in Guatemala. TECO energy found itself in the centre of controversy due to pollution and this forced it to start switching from coal to natural gas. TECO People Gas was founded in 1989 and it has risen to become one of the leading energy corporations with revenue of more than $1 billion a year. The company has an employee population of more than 4,000 a year. TECO People Gas is based in Tampa, Florida. 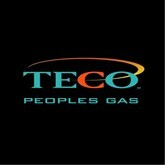 There are currently 0 consumer reviews about TECO Peoples Gas available. Share your review. Please take a note that you are about to post a public review about TECO Peoples Gas corporate office on CorporateOffice.com. This review will be public, so please do not post any of your personal information on this website. If you would like to contact the corporate offices of TECO Peoples Gas, please use their contact information such as their phone number, website, and address listed above to contact them. However, sometimes staff from TECO Peoples Gas headquarters do read the reviews on this website.